See the awesome video click the play button above. The first edition of a gymnastics/tumbling competition was recently held in the middle of the iconic Azadi Tower in central Teheran. 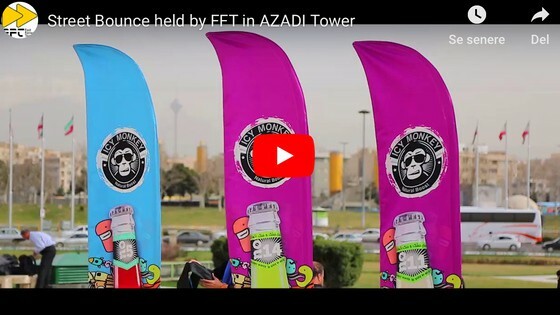 Several champions of gymnastics, freerunning, parkour, and tricking attended the contest, which was hosted by Fast Forward Team last year in March. Fast Forward Team are a company who organised events they also have filming crew, they makes everything by their crew and they will be happy to help with organise an event like this.